New Trading Year. Who says Markets don't move from 25th to 31st Dec? N P Financials wishes you all a very Happy and prosperous New Year. Make 2018 a better Trading Year. And who says Markets don’t move from 25th to 31st Dec? 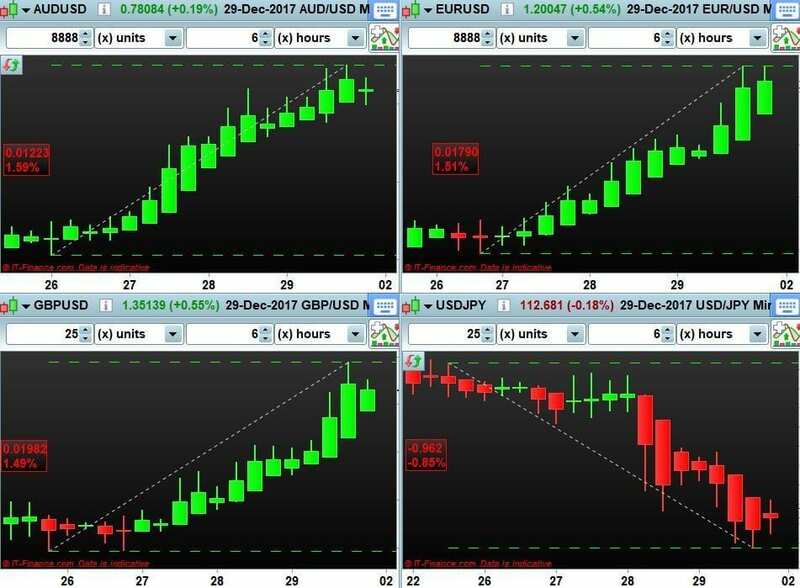 Forex Currency Pair AUD/USD moved 122 Pips, EUR/USD moved 179 Pips, GBP/USD moved 198 Pips and USD/JPY moved 96 Pips in 1 week from 25.12.17 to 31.12.2017. A total of 595 pips in 5 working days. It always does. On completion of the “Basics of Trading” course, You will develop an In-depth understanding of Fundamentals factors moving Markets. You will be able to clearly understand the Market Jargon e.g. Swaps, Spread, Slippage etc. earn Trading from our A full-time Professional Trader. This is a step by step hand holding program designed keeping in mind your learning progression. A full-time professional trader from NPF (Professional Proprietary Trading firm) will be your own personal coach for 3 months. It will give you twelve, one-on-one coaching sessions. You will be attending one monthly Seminar. A full-time professional trader from N P Financials will be your own personal coach for 6 months. You will be introduced to our Proprietary Trading Edge. It will give you twenty-four, one-on-one coaching sessions. A full-time professional trader from N P Financials will be your own personal coach for 9 months. You will be introduced to our Proprietary Trading Edges. A full-time professional trader from N P Financials will be your own personal coach for 12 months. You will be introduced to our Proprietary Trading Edges. Take Advantage of On-Demand Learning from popular One Day Courses. Identify Correct and Relevant Market Reversals through advance Candle-Stick Charting. Understand Market Evaluation through our specialized Fibonacci Techniques. Understand correct Price Plot Patterns.